For the last half decade, my family’s New Year’s tradition has been attending a “Salute to Vienna” concert. This concert series, which performs in major cities across the United States and Canada, is modeled after the world-famous New Year’s concert in Vienna. As well as the waltzes and polkas of Johann Strauss, Jr. and his family members, the concerts also feature the music of other notable composers of the era. Of course, back in those days, Vienna was the capital of the Austro-Hungarian Empire, and the Hungarian influence in music was very strong, particularly in the operetta repertoire. At this year’s concert, our conductor, who was Viennese, introduced all of these Hungarian pieces as “a little bit of paprikás”—referring, of course, to the scarlet-hued spice that has become synonymous with Hungarian cuisine. This dish is a nice “little bit of paprikás” as well. 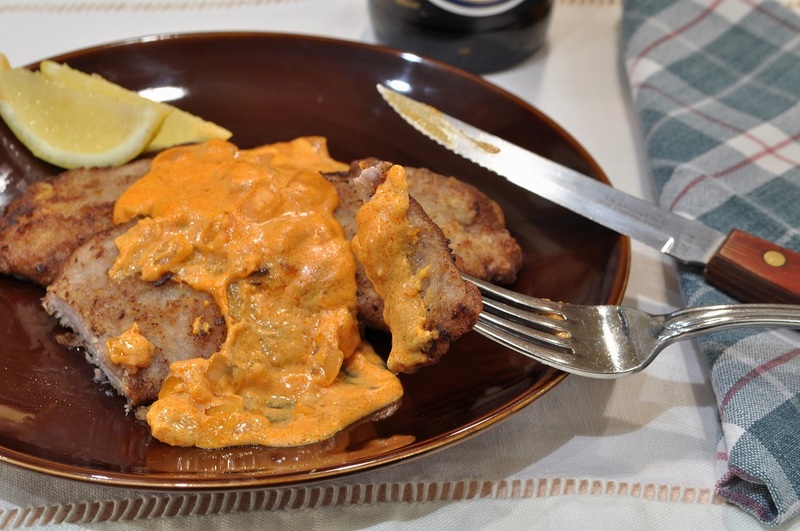 It combines the quintessential Viennese schnitzel with a Hungarian-style sauce, which pairs the strong flavors of sour cream and onion with the paprika, a trio common in Hungarian dishes. In addition to a stunning orange colour, the paprika also provides a slight smokiness, which brilliantly underscores the tang of the sour cream. For such a boldly flavoured dish, the ingredient list is quite short, and the sauce is very simple to make. After sweating some onions in a generous amount of butter, all you have to do is stir in some paprika and chicken stock, and then thicken it with a mixture of sour cream and flour. 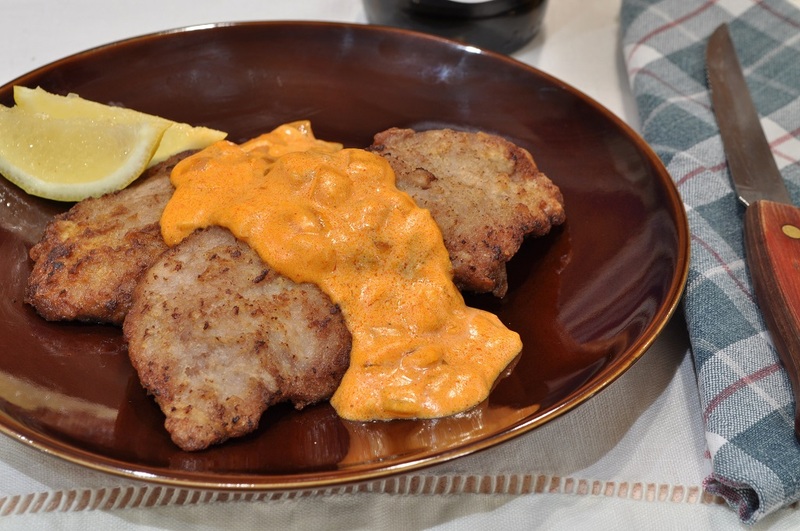 The schnitzel itself is a bit trickier to pull off: it is crucial to thoroughly dry off the cutlets after marinating them in the lemon juice so that the breading doesn’t become soggy. But you don’t really have to worry if your schnitzel is less than picture-perfect, since you’re just going to be covering it with sauce anyway. No matter what it looks like, I assure you that it will taste delicious. Empires may not be very popular in this day and age, but I, for one, am grateful for the fusion of culinary traditions that their legacies provide. 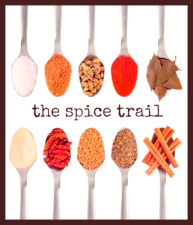 This month on the Spice Trail, a new blogging challenge by Vansesther of Bangers and Mash, paprika was the featured ingredient, a very happy timing in my opinion. This dish is my submission to the challenge. 1. 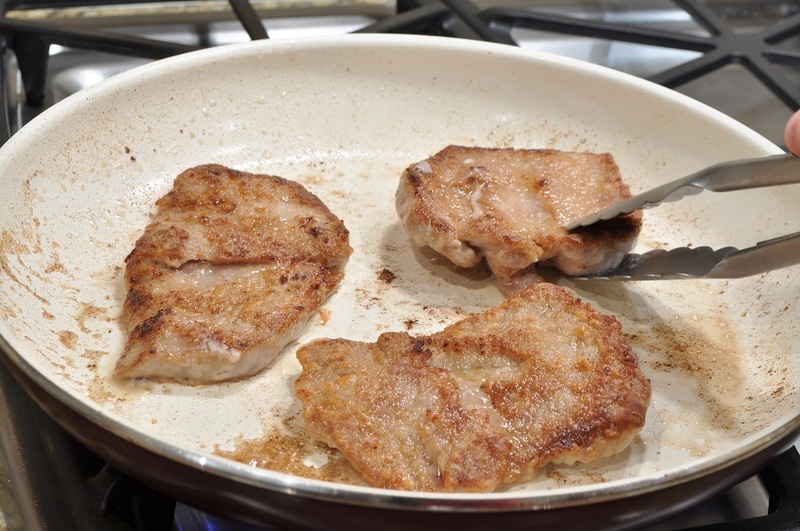 Place the veal cutlets in a non-reactive baking dish and pour the lemon juice over them. Let sit for an hour, turning occasionally. 2. 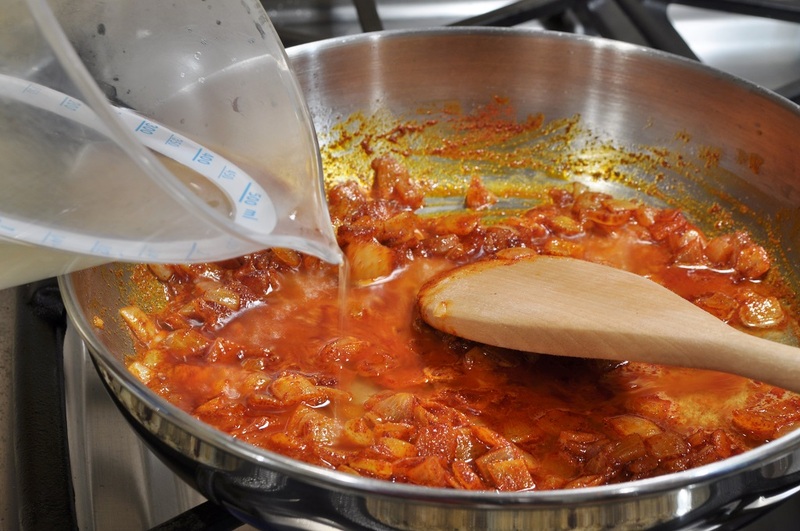 Remove the cutlets from the juice and thoroughly pat them dry with paper towels. 3. Season the cutlets with salt and then dredge them in flour, shaking off the excess. 4. Heat a few tablespoons of oil in a large frying pan. Over medium heat, fry the cutlets in batches, making sure not to overcrowd the pan, until they are light golden brown, 3 to 4 minutes per side. 5. 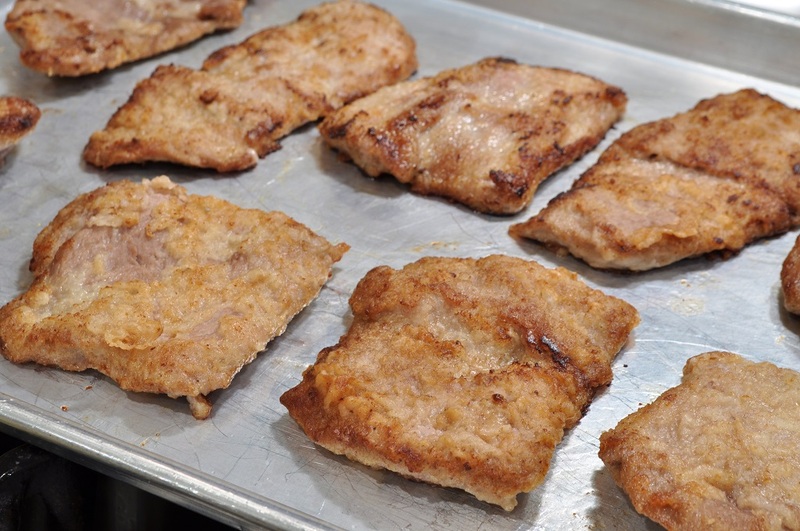 Transfer the cooked cutlets to a sheet pan and place them in a 200°F oven to keep warm while you make the sauce. 6. Melt the butter in a medium saucepan over low heat and add the onions. 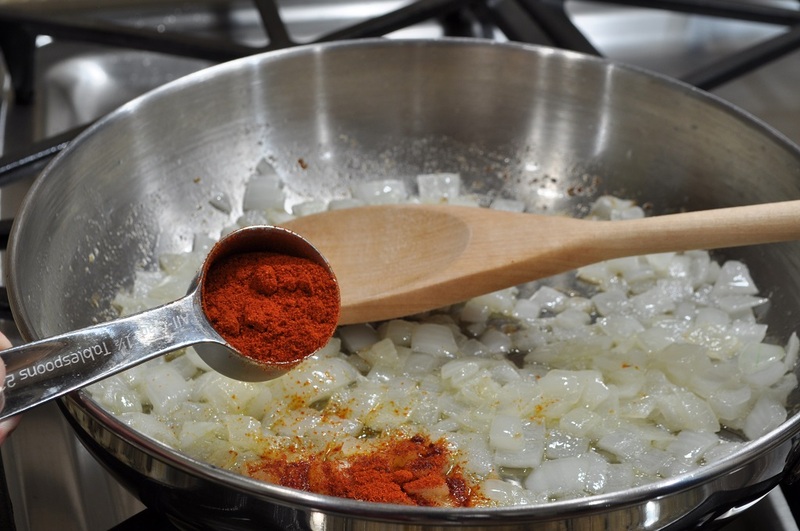 Cook gently, stirring occasionally, until the onions are translucent and beginning to color, 7 to 8 minutes. 7. 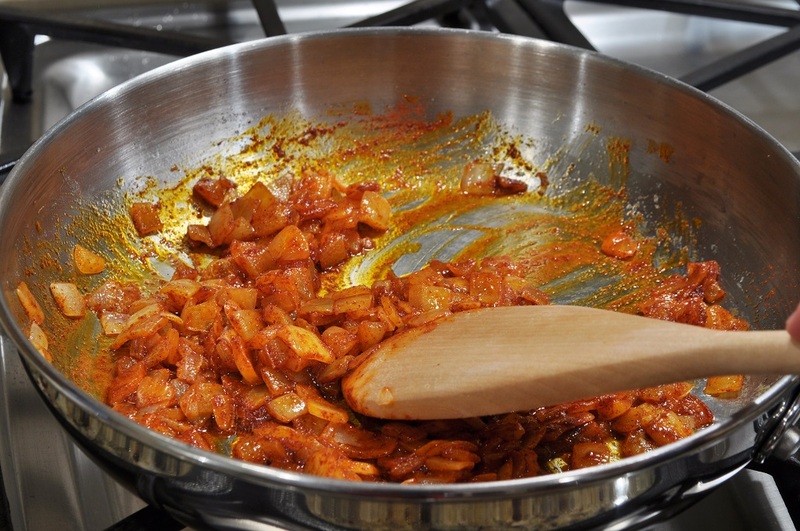 Remove the pan from the heat and stir in the paprika. 8. Return the pan to the stove and turn up the heat to medium. Add the chicken stock and bring to a boil, stirring to scrape any browned bits off the bottom of the pan. 9. In a small bowl, stir the flour into the sour cream. 10. 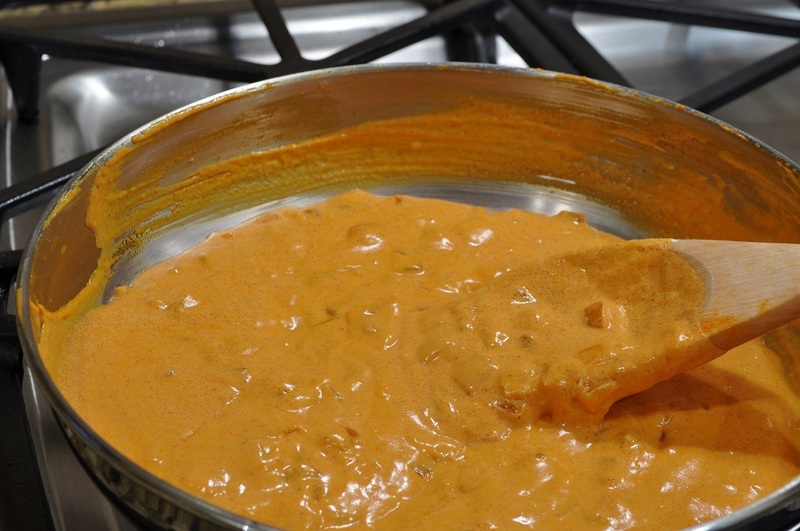 Pour the sour cream mixture into the sauce, whisking constantly. Simmer for a few minutes, until heated through. Season with salt and pepper. 11. Remove cutlets from the oven and arrange them on serving plates. Pour sauce over them and serve at once. Looking at this post has made me so hungry! Your schnitzel looks absolutely delicious, and is a wonderful entry for this month’s Spice Trail challenge. Thank you so much for sharing. My pleasure! I love schnitzel, and this was a delightful variation. I love schnitzels and this has made me really want to have a go at some Hungarian dishes. I know. So many cuisines, so little time!